The Past is a Blast. From jukeboxes, bowling pins and 8-track tapes, to laptops, cell phones and VCRs, the memorabilia, crazes and catch phrases that defined the 20th century surround you at this resort. 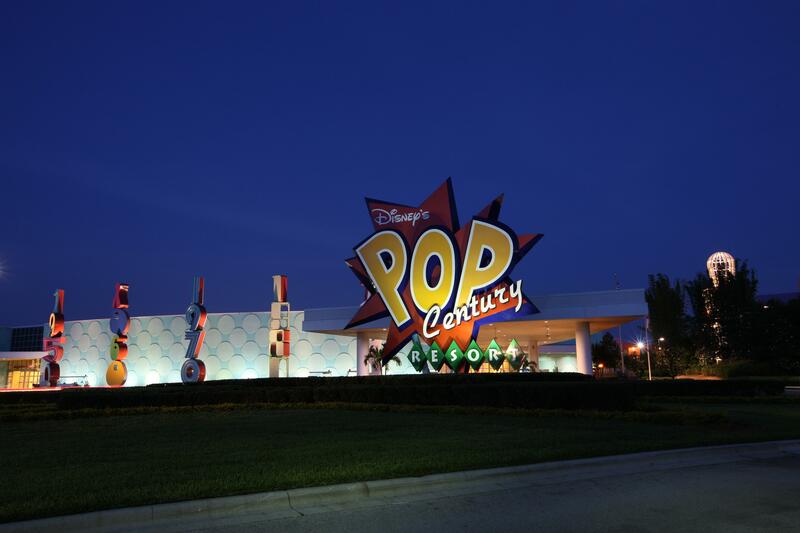 Each building is a larger-than-life “time capsule” of pop culture that will take you on a trip down memory lane.Disney Resort hotel guests will enjoy benefits such as Disney's Magical Express, Extra Magic Hours, My Disney Experience and complimentary transportation throughout Walt Disney World.